Order and balance are the key attributes of a formal garden, along with structure, symmetry, simplicity and geometric shapes. Plant beds are meticulously laid out and planted with an innate attention to detail that provides structured blocks of colour within the garden. 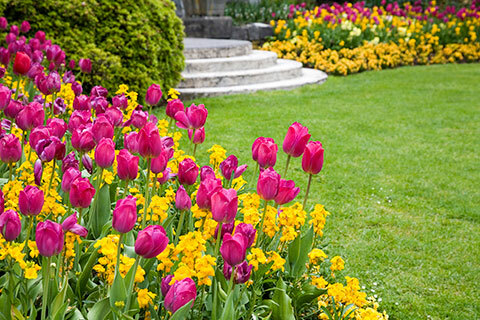 If you find other garden designs too rustic and jumbled, a formal garden is the ideal solution and it’s one that can be adapted for spaces of any size. 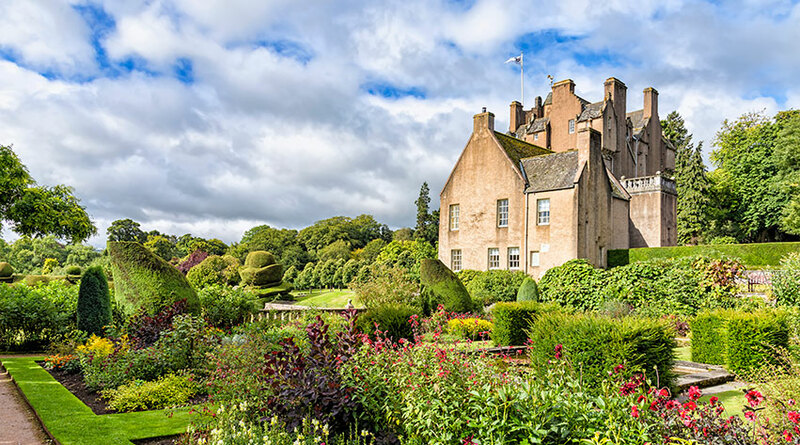 It’s really the plants that make a formal garden such a sight to behold. Keeping a fairly uniformed colour palette is wise, but with such a wide variety of plants that fit into this theme, you’ll have a great deal of opportunity to be creative. 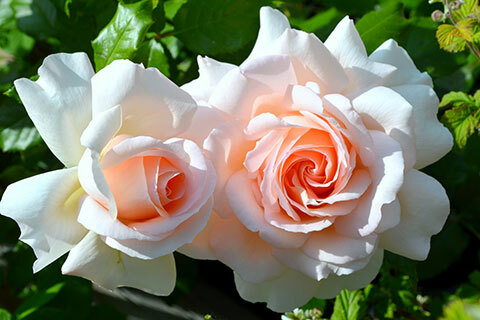 Classics roses and English Lavender are an essential, as are those structural plants we mentioned earlier, but you can still add your favourite seasonal Begonias, Tulips, Hydrangeas and Geraniums too. Unlike many other garden styles, the formal garden is one which takes a bit of planning. Sketch out a design of how you might like your space to look, keeping in mind those essential design elements of order, symmetry and repetition. The formal garden is synonymous with elegant stately homes. Formal gardens often have a central line from which all other garden elements stem from. A straight path down the middle of your manicured lawn is a great centre point from which you can develop the ordered patterns this style requires. We’d recommend using brick, bluestone, pavers, or concrete for your path. Choosing the right structural plants such as boxwood shrubs, classic fencing and neatly grown trees will help create a garden that looks good throughout the year. These are the foundations for the formal garden, so getting this right is essential. 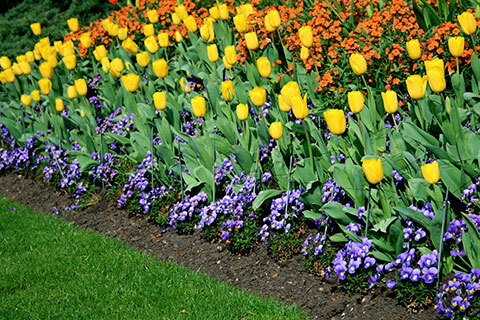 Smart lawns and well clipped hedges are common features, while flowers are displayed in neat blocks of colour. 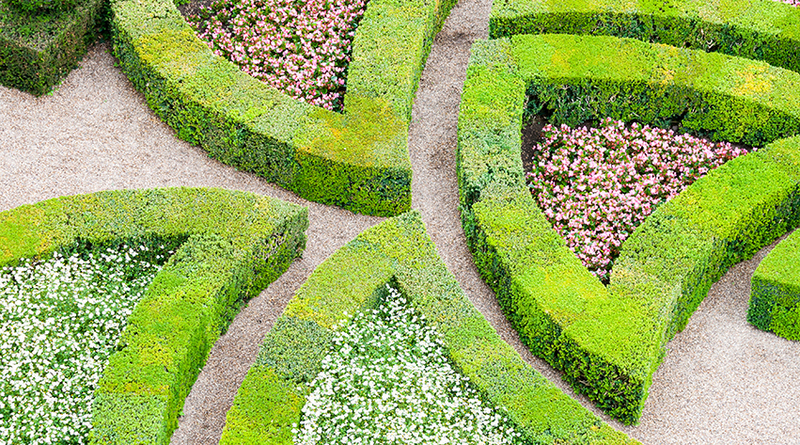 If you’re feeling adventurous, a formal, classical garden is the ideal place to experiment with topiary. 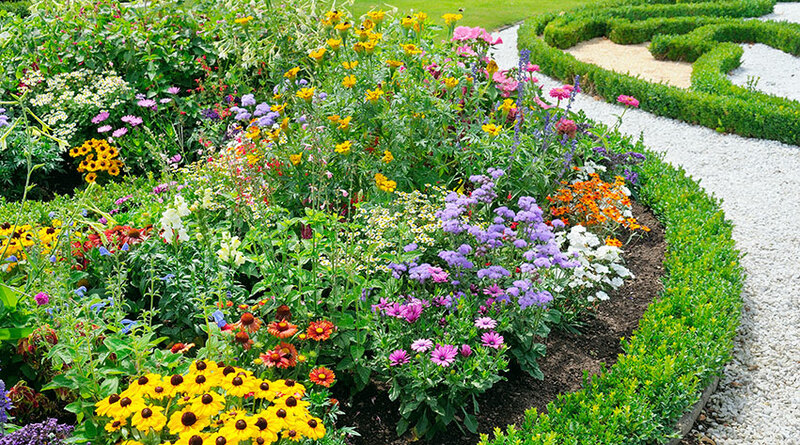 Beds and borders are all about refinement in a formal garden too. Be sure to mirror image every bed and border on the opposite side of the garden, using the same planting styles for that quintessentially formal feel. Avoid overusing containers if you can and be sure that any you do use fit in with the overall style of the garden. While not particularly mobile, stone and terracotta are particularly appropriate for a formal garden space and for an extra flourish, you can always choose to pop containers up on a plinth. 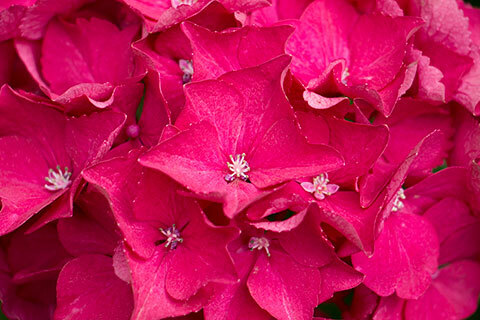 Concentrate and stick to a particular colour palette for flowers to maintain order. It can be difficult to restrain yourself but restraint is key. Classic pastel palettes work well, but white flowers amongst green leaves can make your garden really pop and look especially beautiful on a sunny day. 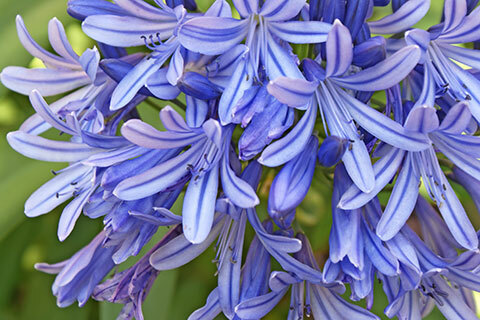 If you’re worried about your garden looking too formulaic, add a few surprises here and there – the odd pot filled with off book colours or a quirky accessory nestled into a corner, but keep these to a minimum. Use natural stone and gravel for patios, steps and pathways. You can choose to add in cobble mosaics in geometric patterns or design brick pathways, but remember to keep any edges well defined for that neat finish. Simple urns have been a container of choice in formal gardens for centuries so these are an absolute necessity if you want to master this theme. Whether you go big or small, a few of these dotted around your garden will perfectly accentuate the formality and grandeur of your space. Other small accents and accessories are a great way to take your chosen theme on step further too, such as small figurines, delicate bird baths and sundials. 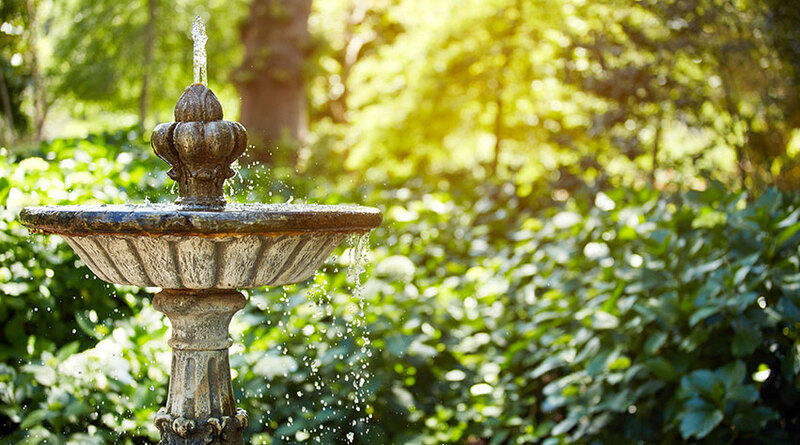 If you have the space, a pond and fountain are perfect additions, while an arbour makes for the ideal place to sit and admire the order and beauty of your formal garden.